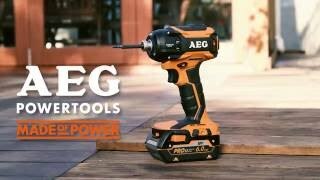 The AEG 18V brushless oil pulse driver works twice as fast as a standard impact driver, but with half the noise. This driver delivers a no-load speed of up to 2,400rpm. Brushless technology reduces the energy loss in the motor giving you increased power, longer runtimes and a longer tool life. 18V Brushless Oil Pulse Impact Driver Skin is rated 5.0 out of 5 by 1. Rated 5 out of 5 by Macca from Really quiet I'm very impressed with the tool. In the work i do i use a lot of 14 gauge bugle screws, and this impact driver does exactly that, it drives them home all day every day. And talk about quiet.